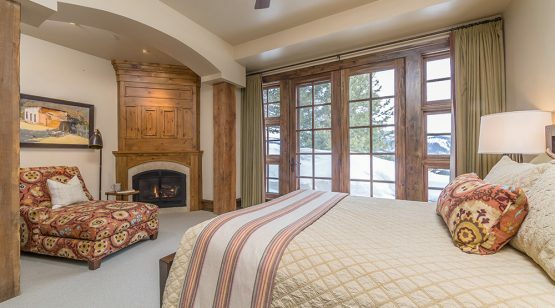 Andesite Ridge 5 is tucked into a very special corner of the Yellowstone Club. 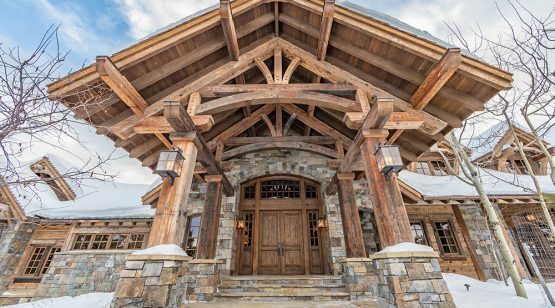 Around the bend from the main gatehouse, a small drive curves off to the south, revealing this expansive, ranch-like property. 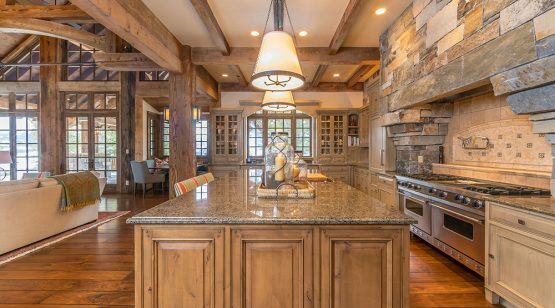 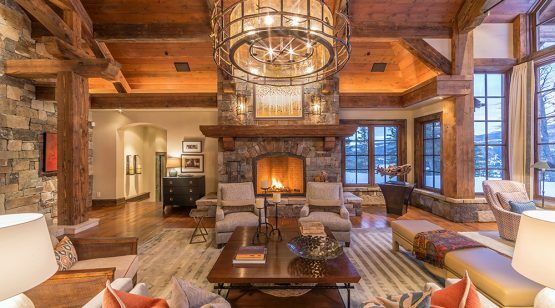 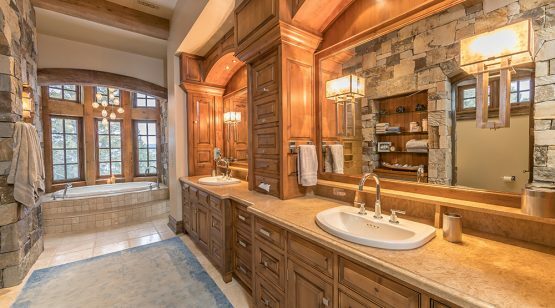 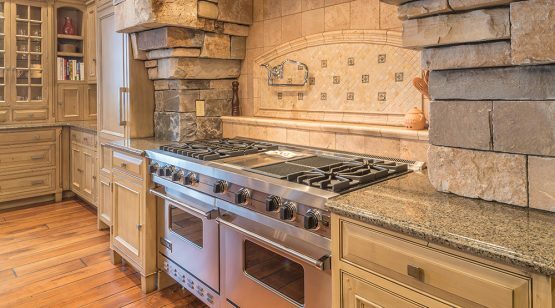 Situated on over 7.5 acres, this custom residence feels expansive and private, and is expertly sited to capture views of the Club, Eglise and Pioneer Mountains, and the larger Gallatin Range. 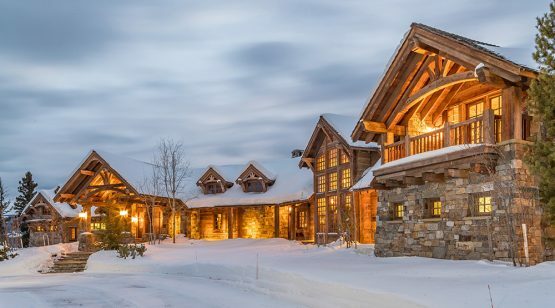 Owners of this home will enjoy the quiet beauty of each season: sun setting over nearby peaks, unfolding pops of color in the springtime, and long summer days that seems to never end. 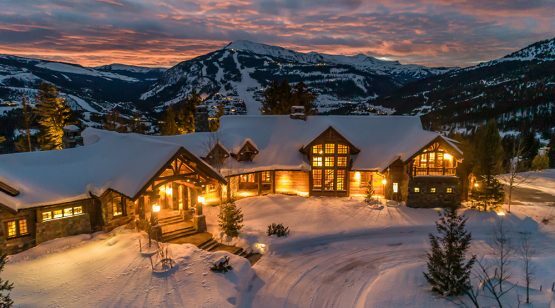 This stunning custom residence is situated atop a gentle plateau, with land that drops away to reveal massive territorial views. 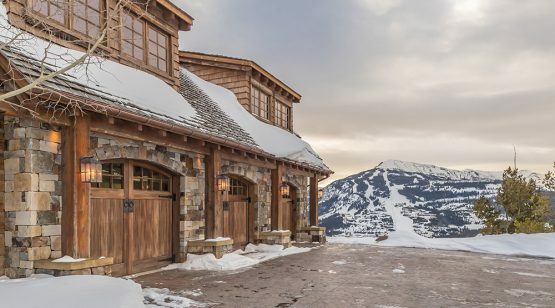 With its over 7,500 square feet, Andesite Ridge 5 offers space for family and guests to spread out and relax into the environment. 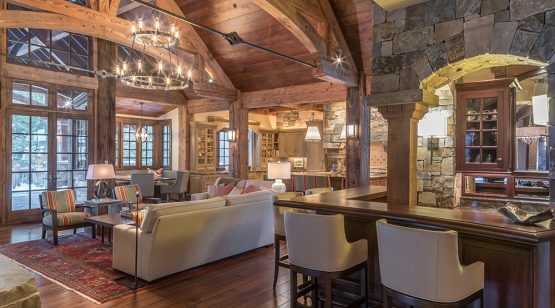 This home’s unique layout features most living spaces on the main level, with thoughtful separations between public and private areas. 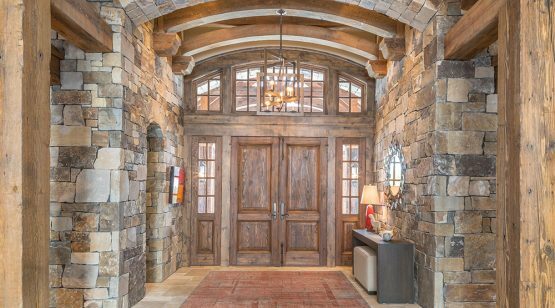 From the stone entryway, the gaze is drawn forward to the relaxed elegance of the great room, where pinnacled windows frame magnificent southern views. 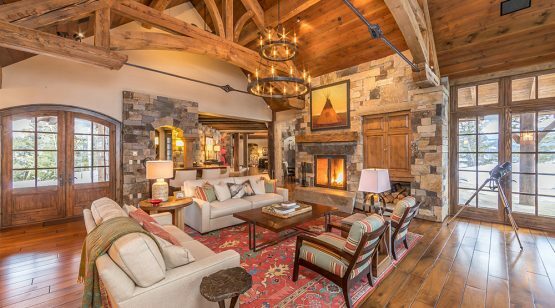 The massive stone fireplace grounds the space with a warm ambiance—this will be the favorite room for evening gatherings. 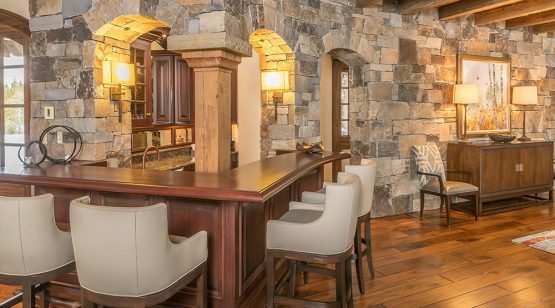 Other main level gathering spaces include the gourmet kitchen, separate family room, dining room, and custom curved bar. 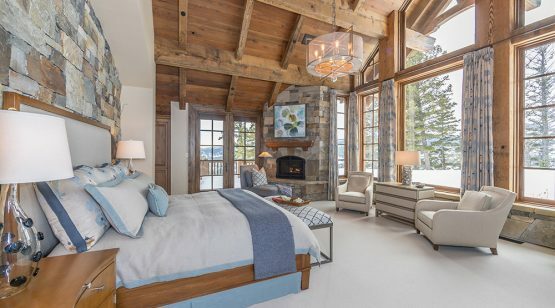 The main level bedroom suites are creatively split into separate wings of the home. 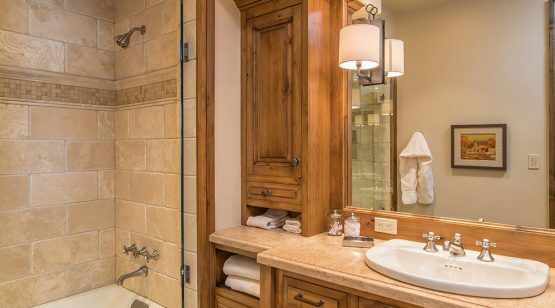 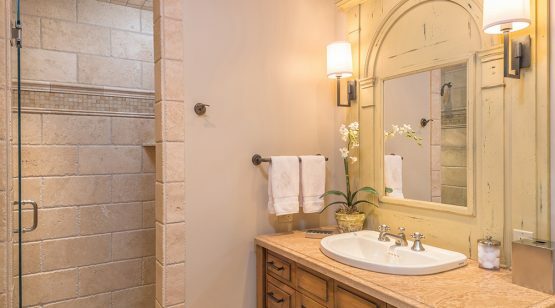 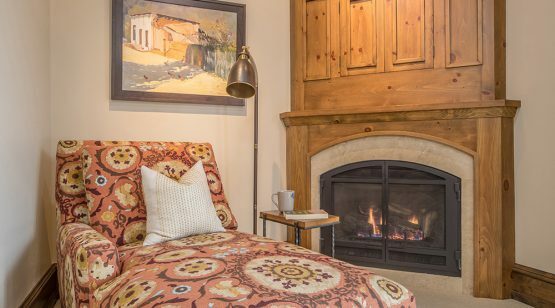 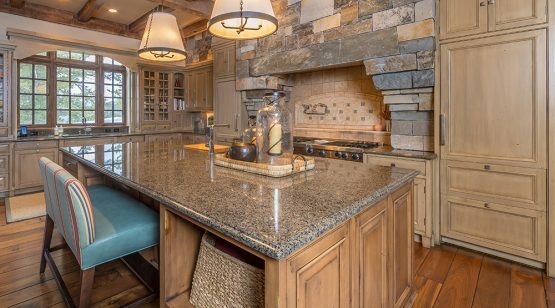 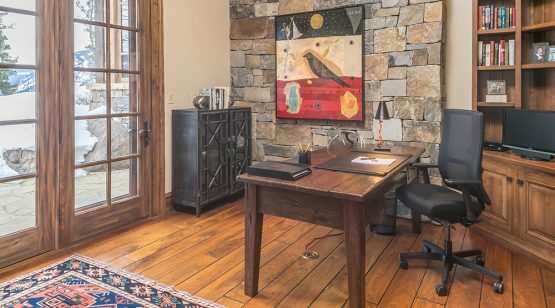 On the southern end, the master suite plus adjacent office offer the perfect owner’s retreat, with its corner fireplace, walk-out deck, and hand-stacked stonework throughout. 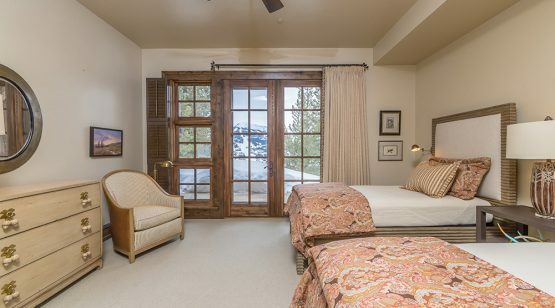 The northern wing hosts two additional bedroom suites and also provides access to the spacious mudroom and three-car garage. 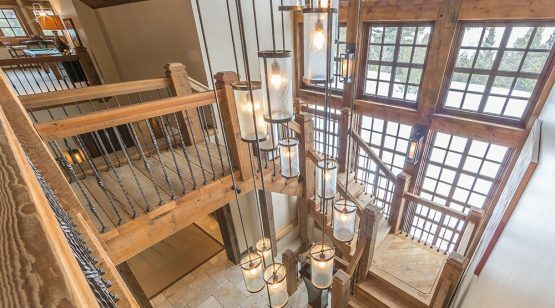 The open staircase, set against a wall of windows, climbs to the second level. 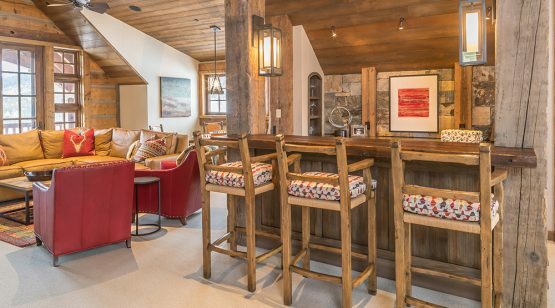 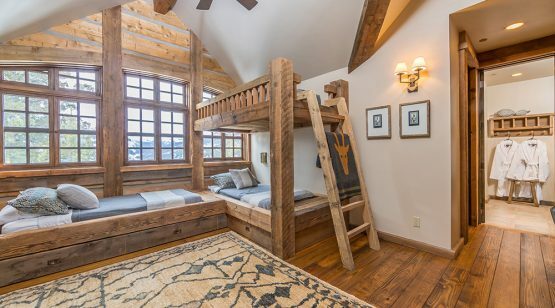 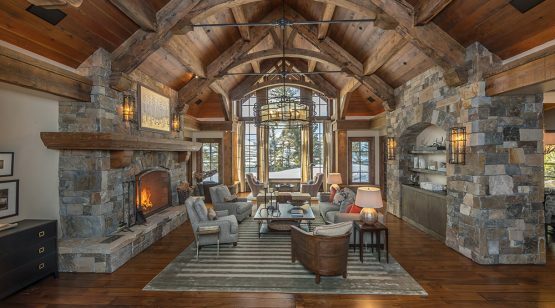 The entire upper level has a warm, cabin-like feel thanks to sloped, wood-clad ceilings, timber posts and beams, and plush furnishings. 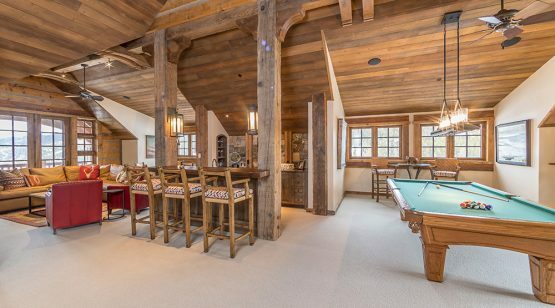 Friends will enjoy the billiards table, family room, and bar area, while the bunk room provides the perfect spot for kids or overflow guests. 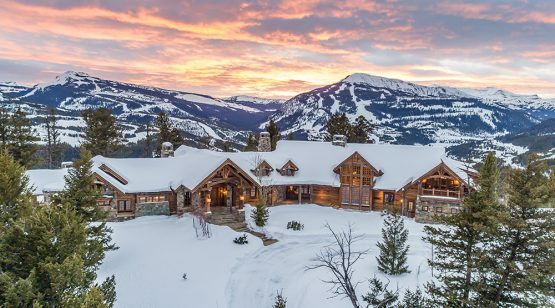 From its perch on Yellowstone Club Trail, Andesite Ridge 5 feels as though it’s tucked into a private wilderness—owners will be just as likely to see a meandering moose as a passing car. 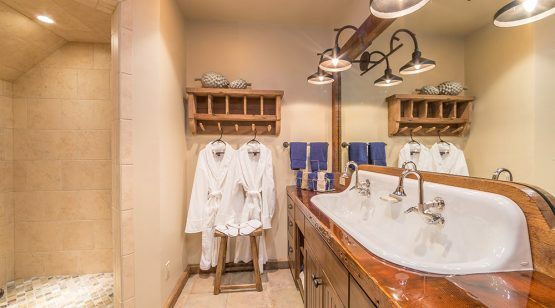 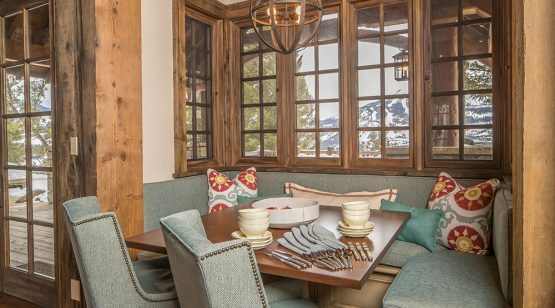 But the plentiful amenities of the Warren Miller Lodge are only a short drive away, making it easy to enjoy fine dining, youth recreation, concierge services, unbeatable skiing, and more at the nearby base area.